Comments Off on Newest Member of the Bruins Executive Happy to be Aboard! Newest Member of the Bruins Executive Happy to be Aboard! 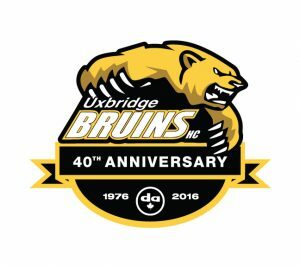 The Uxbridge Bruins welcomed Mark McVety to their executive at last weeks meeting and look forward to his hockey experience being utilized in the behind the scenes part of the Bruins operation. Mark has spent his life residing in Oshawa playing minor hockey there and then he moved up to the Junior C ranks playing in Port Perry with the Mojacks. He has been involved in coaching for 25 years which include two All Ontario Championships in 2005 with the Alliance Bantams and 2010 with the Whitby Girls Bantam AA. 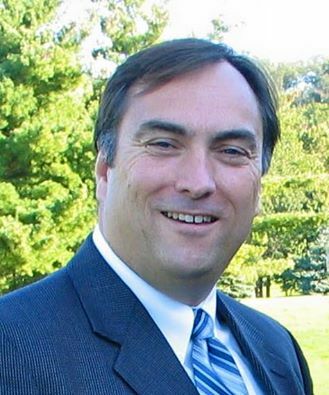 Mark also brings with him 4 years of executive experience from the Oshawa Lady Generals from 1999-2003. He was a Co-Owner of Cobourg Cougars of the OJHL for 4 years. As a retired employee of General Motors he looks forward to helping out with the Bruins starting with our 40th season. Welcome aboard Mark. The Uxbridge Bruins are saddened by the loss of an original Bruins player, Bill Newton. Our thoughts and prayers are with the Newton Family. RIP Billy! Newton, William (Bill) Henry – August 7th, 1960 – August 6th, 2016. We sadly announce the passing of Bill after a courageous four year battle with cancer. Bill, son of Ray (deceased) & Jean Newton, grew up in Uxbridge where he excelled at hockey through Uxbridge Minor Hockey. He went on to play Junior B in Oshawa and in 1978, joined his brothers, Tom and Bruce, on the Bowling Green State University hockey team. While doing his Master’s degree at Western Michigan University, he met his wife Colleen (Price). Bill & Colleen lived in Farmington Hills, Michigan where they raised their two children, Christopher and Andrea. Bill was a successful sporting goods sales representative in midwest United States. Always a favourite within the sporting goods industry, Bill lit up every room that he walked into. Bill served the community of Farmington Hills coaching minor hockey teams and later coached the Farmington Hills High School team to its first State Championship in school history. He will be missed by his wife Colleen, his children Christopher (Jessie) and Andrea, mother Jean, mother-in-law Jean Price, brothers Tom (Eve) and Bruce (Denyse), sister Michele, and many adoring nieces and nephews. Service to take place in Farmington Hills at a future date.